"Only the perfect place to spend your holiday, and the rest of your life." Nestled in one of Hawaii’s largest nature preserves and Maui’s premier resort destination is this award-winning architecturally designed home available to book during any season for hosting a fabulous dinner party to having the perfect honeymoon for you and your loved one. Overlooking the white sand beach of Oneloa Bay in Maui, the fully furnished luxury #3 Kapalua Place residence is one of only four exclusive beachfront homes located in a private gated oceanfront subdivision. Environmental stewardship has and will continue to be a guiding principle of this one-of-a-kind resort community. Surrounded by the protected West Maui rainforest and two marine sanctuaries. Kapalua Resort is a special place. As it continues to preserve this naturally beautiful destination, future plans will offer guests and residents opportunities to enjoy areas of the Kapalua Resort previously unavailable. 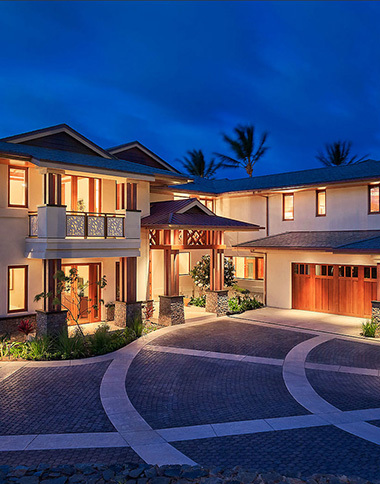 Award-winning Hawaiian architect, Jeffery Long of Long and Associates, impeccably designed this contemporary architectural masterpiece blending the unparalleled natural beauty of the location with a truly innovative structure creating an imaginative expression of modern luxury with breath-taking vision. Take a look at the video below to view just how this little piece of heaven was made.